The Wakayama prefecture in the Kansai region is facing the sea. Wakayama is famous for the sea-products as well as the [Wakayama ramen] which is the root of the Tokushima-ramen. The prefecture is full of other local gourmets! Well, which are the popular shops that the locals go, then? I’d like to keep them for myself as I’m too proud of these shops! I’m introducing the 10 shops which have been loved by the locals! Please visit them! When you walk for about 28 minutes from the Kimiidera station, the signboard, [Chukasoba Senmon] (Chinese noodles specialty) which gives you a nostalgic feeling will be in your sight. That’s the landmark of the [Marusan Chukasoba] with a 30-year-history since its establishment. 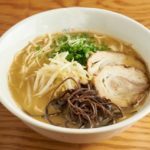 The signature menu of this shop which has been popular among the locals is the Wakayama ramen which is so called Chuka-soba. The moderate soft noodles mixed with the rich tonkotsu (pork bone) soy-sauce soup create the superb flavour! 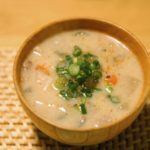 The rich soup is not too heavy when you put it in your mouth and is unexpectedly light. The [Haya-sushi] which is regarded to take away the aftertaste of the Wakayama ramen goes well. The [Haya-sushi] is the sushi before the fermentation of the [Nare-sushi] which is the famous product in Wakayama. It matches the aftertaste of the Wakayama ramen, so please appreciate it with relish! The [Ide Shoten] which has been known nationwide is an 8-minute-walk from the Wakayama station. It has the red noren (shop entrance curtain), red counter-seats and table-seats. 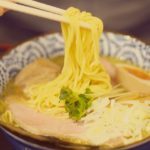 The classic Wakayama ramen contains the pork-bone soy-sauce taste rich soup, thin noodles which go down smoothly and flower-shaped kamaboko (broiled fish paste) on the top. It is rich but not too heavy. That’s the classic flavour. People start making a queue before it opens and even at night the shop is full of people. The nitamago (soft-boiled egg marinated in soy and mirin) and special chashu (roasted pork rib) as its toppings and the refreshing sushi support its popularity. 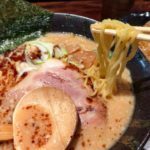 Please enjoy the famous [Wakayama ramen] as a full-set until you are fully satisfied! The [Mankoh Shoten] is in front of the Awashima shrine which is a 20-minute-walk from the Kada station on the Nankai-kada-line. The restaurant is just like a shop as the name shows. The sea products which have been arranged under the eaves are the relish made by the local fishermen and the locals who know the ingredients thoroughly. The delicious looking dried fish and tokoroten (gelatine jelly) attracts people, but my recommendation is the popular young sardines which you can eat inside the restaurant. When you simply touch the young sardines heaped up in a bowl with your chopsticks, they fall off from the bowl in a delightful way! The young sardines have the strong flavour of the sea without dipping any soy-sauce. Some people come to this restaurant, targeting these young sardines. When you visit the Wakayama prefecture, please visit this restaurant. The [Restaurant Fri-ya] is a long-established western-styled dish restaurant which began in the 8th year of Showa (1933). The flavour which has been kept since its establishment is the superb one loved by a lot of locals. Especially, the demi-glace sauce made from the beef-tongue is a special additive taste with a rich and a little bitter flavour. 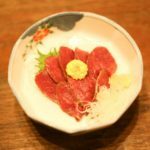 The locally famous, [Torotoro Ichiba] is also a recommended gourmet spot. The appearance of the shop looks like a market and the inside of the shop is really a market! 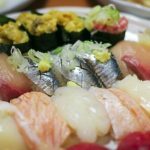 At the largest sea products market, the fresh fish and shellfish which have been caught in the Japan Sea have been sold for an inexpensive price. You can buy your favourite sea products such as tuna, whale, prawn or squid and taste them at the barbecue corner which has been set up. In this facility, there is the [Toretore Yokocho] where you can enjoy the Kaisen-don (rice bowl topped with seafood) or other sea products as well as the souvenir shop for the sea products and sweets. It is the shop which you really want to drop in at, when you visit the Wakayama prefecture. People say, if you want to eat tuna, it should be the [Katsuragi]. In the restaurant which has the counter-seats as well as the tatami-matted rooms displays the motif of tuna at various places. This atmosphere gives you a feeling that you can definitely taste the delicious products from the sea. They never freeze tuna at this restaurant, so you can enjoy the original flavour of tuna. The tuna-sashimi has a chewy, sticky and rich relish as if it is not a fish. 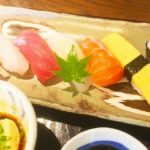 You can also enjoy the salt-grilled part above the gill of the tuna, yamakake ( a dish of sliced raw tuna dressed with grated yam) and the unique dishes such as sashimi of tuna gut and heart. Anyway, everything is related to tuna! It is the restaurant where you can enjoy every possible taste of the first-grade tuna. The [Bimi-dokoro Marumi] is the Japanese cuisine restaurant attached to the fishmonger. On the contrary to the modest noren (shop entrance curtain), the surprisingly spacious interior spreads out. They have the solid looking counter, tatami-matted rooms and the tatami-matted large room which can accommodate a big group on the 2nd floor. You can have the super-fresh sashimi-set menu at this restaurant. The filling sashimi look as if they will fall off from the plate. Depending on the season, you can enjoy about 10 different kinds of fresh fish for a surprisingly low price. It is quite understandable that there is a queue even at weekdays. If you want to taste the sea products in the Wakayama prefecture, this restaurant is also recommended. The appearance of the [Steak House Hirano] makes it look like a simple western-styled restaurant. But inside of the restaurant, the iron-pan is surrounding the chef in the middle and you can experience the authentic atmosphere of the grilled dishes-type restaurant. The hamburger-steak which is grilled in front of you is 100% Kumano-beef! You can ask how you would like your steak. The rare hamburger-steak has the exquisite deliciousness to impress its fans! 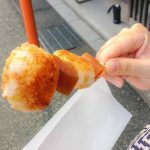 You can also taste the products from the sea such as prawn, squid and scallop all grilled which only Nachi-katsuura in the Wakayama prefecture can provide. The rising up of the butter fragrance will stimulate your appetite! Please enjoy the excellent steak in the Wakayama prefecture. The [Kappou Sennari] has the quiet calm appearance. They have relaxing counter-seats, tatami-matted rooms on the 2nd floor and the annexe. You can luxuriously taste the products from the sea on the day. It is only possible in the local area. It is the popular restaurant where the locals visit frequently and the friendly owner will welcome every one. 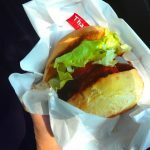 There is no question that you can deliciously taste the seasonal ingredients, but the most recommended gourmet is [Kue]. 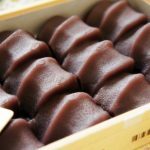 Many people wait for Kue-pot to start and the home-made ponzu (Japanese sauce made of soy-sauce and citrus juice) has been supporting its popularity. You can taste plenty of superb dishes such as the salt-grilled fresh fish keeping the original flavour and the simmered fish with the soaked in taste. It is a leading restaurant in the Wakayama prefecture. The [Tom Sawyer] is a delicious hearth-baked pizza restaurant which is located in the deep mountains in the Kainan-city in the Wakayama prefecture. It is not easy to get there, but the appearance just like a lodge, a terrace full of nature and the atmosphere of the interior will drive your fatigue away. And when you taste the popular pizza, it is a sure thing that you will want to come back again. The pizza which is baked outside on a stone oven is so thin that it has a very crisp texture! The tanginess of tomato and the quality of cheese are well balanced in Margarita. The pasta such as Pescatore, Aubergine and meat and Carbonara are also very popular. They have a variety of standard menus. You can enjoy them, feeling close to Mother Nature in the Wakayama prefecture! Let’s taste the excellent local gourmets in the Wakayama prefecture! I’ve introduced the 10 carefully selected local gourmet restaurants where I’d like you to drop in at. 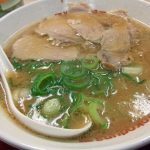 There are various gourmets from the standard Wakayama ramen, sea-products and to the delicious beef cuisine, aren’t there? 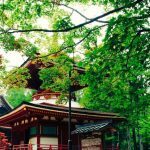 The Wakayama prefecture has not only the tasty gourmets but also the well-known sightseeing spots which you’d like to see just once. Please visit the Wakayama prefecturewhen you can!